June 9, 2018 (Joseph Thomas - NEO) - Should decidedly anti-British government organisations be found across the United Kingdom to be funded and directed by Russians, we could only imagine the reaction. Even whispers of hints of Russian influence have resulted in legislation, sanctions and quite literally years of punditry warning of the Kremlin's insidious reach. When the tables are turned, it is clear London, Washington and Brussels understand the inappropriateness of one nation interfering in the internal affairs of another. Yet this acute awareness has not informed US or European foreign policy, including components of what could be called "soft power," or influence operations. While soft power implies non-coercion, in practice it is always used in conjunction with coercive means toward exacting concessions from targeted nations. In the Southeast Asian Kingdom of Thailand, a growing army of such influence operations has formed the foundation of an opposition to the current government. It is an opposition that without its current funding and support from abroad otherwise would not exist. Just as was done for years against nations like Syria, Libya, Ukraine and Egypt (nations to have recently suffered or nearly suffered the impact of Western-sponsored regime change), Thailand faces long-term interference in its internal affairs as a direct result of these influence operations. The opposition in Thailand itself is minute and unpopular. However the organisations supporting them enjoy a veneer of credibility owed primarily to their efforts to obfuscate from audiences their foreign funding and their actual role in organising and leading the opposition. One example can be seen in the local English-language newspaper, the Bangkok Post. Its article, "The fight for basic rights," interviews the American founders of a supposed nongovernmental organisation called, "Fortify Rights." Fortify Rights has consistently used its platform to support anti-government protests under the pretext of defending human rights. Nowhere in the interview is Matthew and Amy Smith asked where their money comes from and how, as Americans, it is their moral imperative to involve themselves in critical issues faced by Asia. Throughout the interview, the Smiths repeatedly admit to reporting back to the United States government, including testifying before US Congress and lobbying in Washington for issues related to Myanmar's ongoing refugee crisis. The interference in Asia by a nation residing on the other side of the planet seems almost taken for granted by both the Smiths and the interviewer, as if the United States is imbued with the authority to arbitrate universally. On social media, when the topic of US government funding was raised, Matthew Smith categorically denied receiving US government funding. He would refer to additional questions regarding his organisation's funding as "trollish." However, Fortify Rights' 2016 annual report (PDF), as pointed out to Smith himself, includes government funding from the United Kingdom, Canada, the Netherlands and the US Congress-funded National Endowment for Democracy (NED). 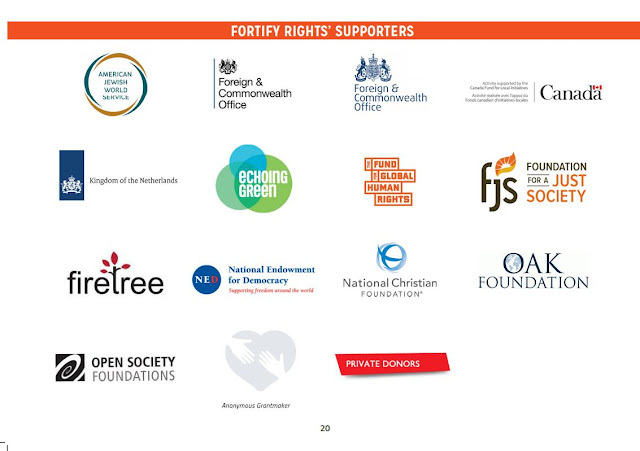 Other controversial sponsors of Fortify Rights include convicted financial criminal George Soros' Open Society Foundations. Matthew Smith not only knows that NED is funded by and serves as an intermediary for the US government, (thus making Fortify Rights a recipient of US government funding), he is undoubtedly aware of how controversial such funding is across Asia, a region sensitive to outside interference after centuries of European and more recently, American colonisation. NED is a private, non-profit, grant-making organization that receives an annual appropriation from the U.S. Congress through the Department of State. Although NED’s continued funding is dependent on the continued support of the White House and Congress, it is NED’s independent BOARD OF DIRECTORS that controls how the appropriation is spent. NED itself admits that it is funded through the US State Department. It claims that its board of directors, not the US government itself, then determine how those US tax dollars are spent. A look at NED's board of directors only further implicates organisations like Matthew Smith's Fortify Rights in deep impropriety merely hiding behind "rights" advocacy. It includes people representing political and business interests involved in some of the greatest injustices purveyed by the United States during this generation, including Elliott Abrams, Francis Fukuyama, Zalmay Khalilzad (who served as US ambassador to Iraq during the US occupation) and Vin Weber described by some (including themselves) as Neo-Conservatives who promoted the US invasion of Iraq in 2003 and have promoted other wars of aggression around the globe both before and since. Victoria Nuland, who played a central role in ousting the elected government of Ukraine in 2014 through a violent coup spearheaded by Neo-Nazi political parties and their militant wings, also serves on NED's board of directors, along with Anne Applebaum of the Washington Post who clearly finds herself in a conflict of interest between reporting the truth and promoting organisations and agendas underwritten by the NED she chairs. Another commonality is shared among NED's board of directors; their use of "human rights" and "democracy" as pretexts for the wars of aggression and regime change they have promoted and helped execute, which reveals the true purpose, whether Matthew Smith of Fortify Rights knows or admits it or not, of both NED's existence and the desired outcome of the work it funds around the globe. Fortify Rights is by far not the only front operating in Thailand under the sponsorship of US government-funded NED. It coordinates with other fronts as well, including media outlets like Prachatai based in Bangkok (whose director also serves as an NED Fellow), Isaan Record based in Thailand's northeast, and BenarNews covering Thailand's deep south. All three disingenuously portray themselves as independent local media. They have intentionally taken steps to obfuscate their US government funding from their Thai readers. Prachatai has only disclosed its foreign funding once in 2011, and only on its English-language website. Each media front specialises in seizing upon and exploiting social and economic tensions to bolster opposition to the current government. Before the 2014 coup ousted the previous, US-backed government of Yingluck Shinawatra, these same media organisations used their platforms to smooth over injustices and emerging tensions threatening that government's stability. NED-funded Fortify Rights also works closely with fellow US funding recipient Thai Lawyers for Human Rights who not only provides free legal services for anti-government protesters, but provides resources and leadership to the protests themselves. The protesters portraying themselves as "pro-democracy" activists, fail to disclose their foreign funding to potential followers. They also avoid questions regarding how their foreign funding violates democracy's prerequisite of self-determination independent of foreign interference. 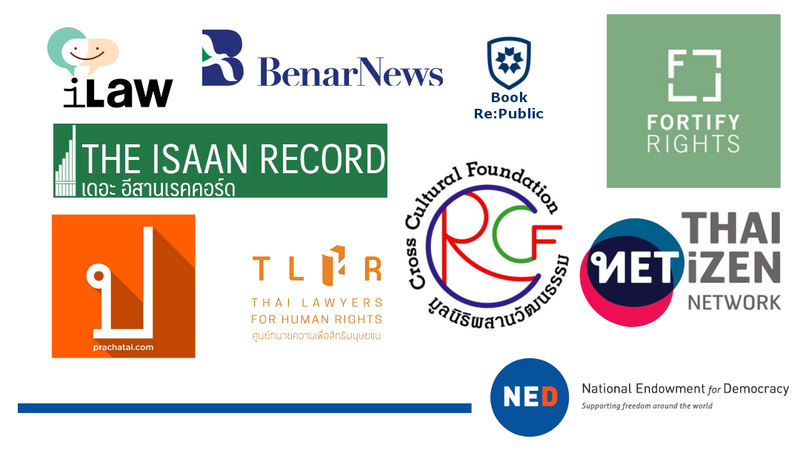 Other NED-funded organisations operating in Thailand include iLaw, Cafe Democracy, Media Inside Out Group, Book Re:public, Thai Netizens Network, the ENLAWTHAI Foundation and the Cross Cultural Foundation (CrCF). Many of these US government-funded organisations play a direct role in demanding policy changes. Currently in Thailand, protests demanding regime change are also led by US government-funded organisations. The implications of foreign funded organisations attempting to influence Thailand's policy or its political future are troubling. Many of the individuals working for these US government-funded organisations on their social media accounts frequently comment on their opposition to "Russian influence" in their US sponsors' internal affairs, apparently failing to appreciate the irony of what their own work represents. They also fail to appreciate the irony of portraying themselves as "independent" and working for "nongovernmental organisations," despite being both dependent on wealthy and influential foreign sponsors as well as working on behalf of foreign governments. Through their connections with equally compromised organisations and individuals in Thailand's media, they have written promotional pieces about their supposed work, like in the Bangkok Post, without disclosing their foreign funding to readers. 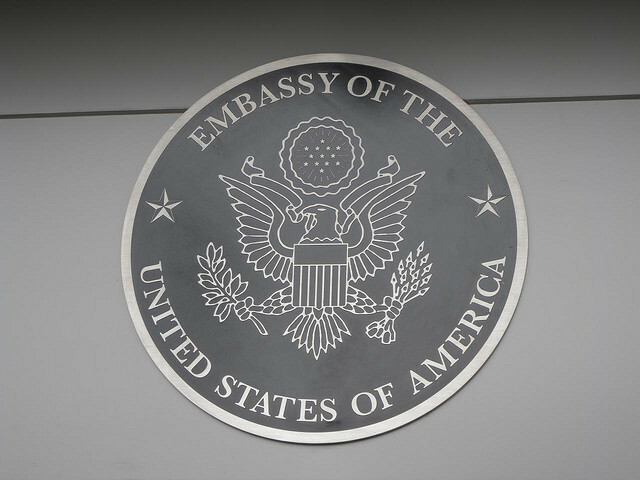 At other times, complicit individuals within the Thai media have attempted to write pieces defending or dismissing US government-funding when public outcry begins to rise. Despite the amount of funding and deception involved in this extensive and growing network, the US government-funded opposition is still widely unpopular. It would not be necessary for the Thai government to restrict their activities, let alone uproot and expel them as neighbouring Cambodia has (understandably) done. Should Thailand simply rewrite its NGO laws to demand the same degree of scrutiny and transparency of these organisations as they themselves demand of targets of US government pressure, their already unpopular message would lose even more credibility and support across Thai society. Prachatai, for example, being forced to disclose its US government funding at the header or footer (or both) of every article it writes would mean Prachatai finally practising the integrity and transparency it demands of targets of its daily propaganda. Likewise, those like writers at the Bangkok Post writing promotional pieces about Fortify Rights, should be obligated to disclose the organisation's foreign funding somewhere within the body of the article. Were these organisations as dedicated to the principles of transparency, freedom, democracy and human rights as they claimed, all of this information would already be freely and repeatedly provided to readers. If these organisations truly believed US, UK and Canadian government funding was benign or beneficial, they would not have gone through such extensive efforts to obfuscate and spin it to begin with. If anything, they would use such funding as a selling point. 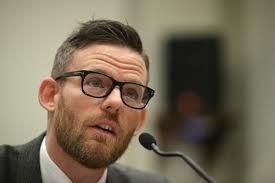 Matthew Smith of Fortify Rights would not deceive people on social media by playing off of a technicality in which his US government money is essentially laundered through the NED before reaching him. As the US continues accusing Russia of interfering in its internal political affairs, measures and consequences it attempts to level against Moscow could easily be cited and adopted by other nations across the globe to deal with the very real interference the US is engaged in within their respective borders. The double game the US is playing regarding its own interference around the globe and accusations of interference it has levelled against Moscow, prove there is nothing benign at all about its agenda and activities. In turn, this calls into question all those organisations whose existence depends on annual contributions from this malignant political order. Those truly dedicated to helping people will seek to independently fund their work by finding support from the local communities they claim to represent. If people are unwilling to fund Matthew Smith and Fortify Rights at the local level, it is likely Smith and his organisation are not truly working in the benefit of these communities, and instead, for interests diametrically opposed to them.